Apple just reported that its revenue growth from Wearables was driven by strong sales of Apple Watch. Its chief executive Tim Cook noted that the newly launched Apple Watch Series 3 models helped Apple post its best quarter of watch sales ever, with unit sales doubling over last year's sales of Series 2 models. 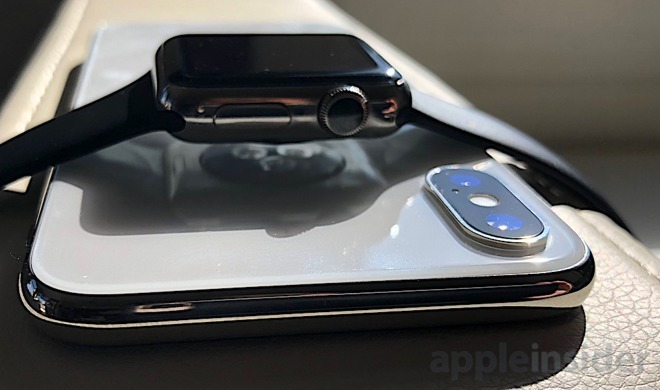 Apple Watch has also consistently reached 50 percent growth in both units and revenue for the fourth consecutive quarter, highlighting a solid base of demand for the company's highly personal, ultra mobile and super integrated Wearables. Combined with sales of AirPods and Beats headphones, revenue in the Wearables category reached 70 percent growth over the year-ago quarter. Apple includes Wearables sales in its Other Products category, a shift that was criticized when it was initiated (just prior to the launch of Apple Watch) because it made it harder to determine the number of watches Apple was actually selling each quarter. Critics have sought to portray Apple Watch as a disappointing failure for years, but it has emerged--not just as a viable contender among a series of smartwatch rivals who were already entrenched in the market for years before Apple arrived--but as the world's leading intelligent wearable device in any category, worldwide. Ben Bajarin of Creative Strategies, who has built a solid reputation for sober, no-nonsense analysis of trends in consumer technology, noted on Twitter that Apple now has "~75 percent of the wearables market (not just smartwatches)" and that Apple Watch growth of more than 50 percent YoY "could mean they sold 9-10M in December Q." By way of comparison, Apple's "Other Product" sales are more than five times greater than Google's cloud business, larger than Microsoft's Azure public cloud, and even bigger than Amazon Web Services, which excited the market this quarter by growing at a more leisurely 44.6 percent to reach "just" $5.11 billion in revenue. And while AWS was launched in 2006 (making it a nearly 11 year old effort) the growth of Apple's Wearables is a phenomenon triggered by Apple Watch in 2015 and AirPods last year. "There are few enterprise franchises that are operating at an annual run rate approaching $20B in scale yet still delivering high growth in excess of 40 percent," KeyBanc analysts led by Edward Yruma wrote in a Jan. 28 note. He was talking about Amazon Web Services, but that comment could also be applied to Apple's Other Products, a segment largely unheeded by analysts because it lives under the shadow of blockbuster iPhone sales despite its size and growth. In parallel, Amazon's own "Other" business segment, which is primarily advertising (along with co-branded credit cards), grew by "just" 60 percent YoY to reach $1.7 billion in quarterly revenue--an important initiative but still just a third the size of what Apple identifies as its "Other Products." Google's "other revenues" in the quarter (outside of Google ads, where it makes virtually all of its money) only amounted to $4.7 billion, YoY growth of only 37.6 percent. While Apple is castigated for making "all of its money from iPhones," it has four other multi-billion dollar business segments that each earns far more than Google's entire non-ads business: $8.5 billion from Services, $6.9 billion from Macs, $5.9 billion from iPad and $5.5 billion from Other Products including new Wearables. Beyond that, under Google's parent umbrella, Alphabet's "Other Bets," (the group of moonshots that are supposed to be delivering innovation and driving new growth opportunities as Google's ads get more expensive to sell and are encroached upon by Facebook and Amazon) amounted to just $409 million in revenues. That's small potatoes for a multinational mega-corporation: just 56 percent growth representing $147 million in new revenues over the year-ago quarter. Apple's Other Products grew by $1.5 billion, more than ten times the growth of Alphabet's Other Bets, and 13 times its total revenue. Yet Alphabet is currently valued at 38.9 times its earnings, in large part because investors think there is a lot of potential for future growth. Apple is demonstrating the actual capability of creating entirely new fields of growth with real revenues on the scale of an order of magnitude greater, yet investors are currently valuing Apple at just 18.2 times its earnings. If Apple were priced similarly to Alphabet, its shares would be trading at around $360, rather than its current price of $168. Further--in stark contrast to Amazon's efforts to rival Google and Facebook into advertising, or Google's efforts to battle Microsoft and Amazon in cloud services--compared to Apple's direct competitors, rival sales of Wearables barely exist at all, and show little potential for growth or offering any real challenge. Google's Glass; VR helmets from Samsung, HTC and others and various attempts to launch a new smartwatch or Bluetooth headsets have all been largely profitless flops, distributing relatively small numbers of expensive, subsidized devices to enthusiasts who don't stay interested for very long. Beyond just entering an established market for smartwatches--that had been replete with various offerings by a number of solid competitors--and taking everything, not by manipulating market supply like Microsoft or stealing from rivals like Google, but by simply by offering a dramatically better product, Apple's success with Apple Watch has created a critically important technology portfolio that no other firm has. Apple Watch isn't just miniaturized smartphone hardware. 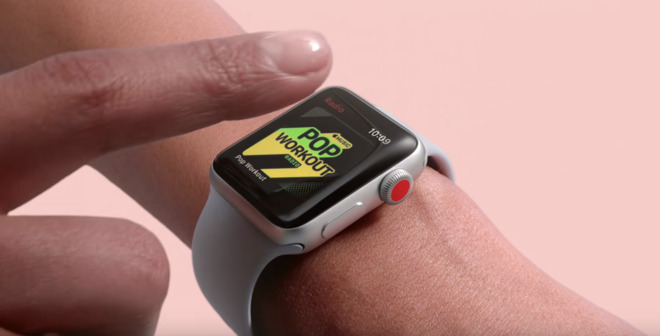 It also involves a development platform for third-party integration and, more importantly, tight integration with other Wearables, mobile devices and computers in the form of Apple's Continuity. Apple still has room for integration improvements. Invoking "Hey Siri" while wearing an Apple Watch and holding an iPhone will likely result in parallel answers, for example. 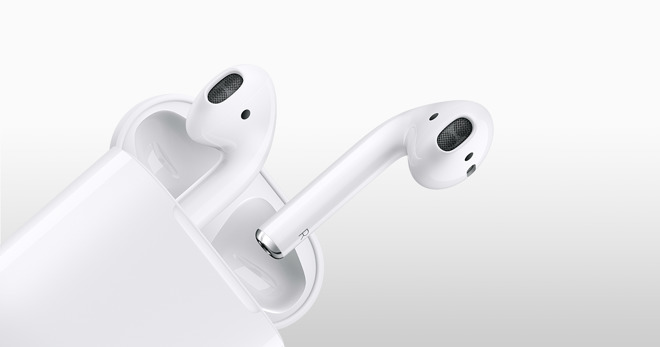 But no other company has developed a solid ecosystem already in broad use, enabling things like letting users change the volume of their AirPods using Apple Watch, while actually streaming audio from their iPhone. This sort of "magical" interaction creates a real barrier for rivals seeing to enter the game as late as Apple did. Further, Apple's work in scaling down Apple Watch's S-series internals, AirPod's W-series wireless components, the development of water resistance, "magical" proximity detection, authentication and other custom technologies have already been paid for across sales of millions of Wearables already sold. Now it's paying off again as work on Wearables trickles upward to enhance Apple's flagship iPhone X and its lineup of Macs. As electronics scale down to boost our connectivity and productivity in new ways--creating bionic enhancements that can allow us to see and hear better; health monitoring wearables that track acute health issues and watch for unanticipated problems, and entertainment devices that project augmented or virtual reality experiences and envelope us in sound--the company that is laying the foundation for these Wearables is far ahead of other companies still focused on trying to build smartphones that might someday return to sustainable profitability. Just over a decade ago, Apple was focused on building the next generation of mobiles while Microsoft's PC makers were contentedly building good-enough conventional PCs. Today, Apple is massively invested in taking on the next big shift in mobility with Wearables while Android makers (and Google itself) retreat back to making good-enough phones. The consequences will again be staggering. At this point, trying to catch up to Apple in Wearables is like trying to catch up to Apple in MP3 players after the iPod redefined personal audio as also involving tight integration with the digital hub of iTunes and its Music Store of content, including Podcasts and iTunes U. By 2006, five years after iPod was introduced, not even Microsoft could build and market its Zune as a successful music device in the face of Apple's popularity and integrated features and services. Microsoft finally gave up after five years of intense, expensive Zune efforts to muscle into Apple's music business. Apple has now been selling Apple Watch for nearly three years, with no competitors making any dent. Its expansion into Wearables last year with AirPods (and other W1-equipped Beats headphones) has also found no serious competition but instead has threatened the existing sales of specialized audio makers. 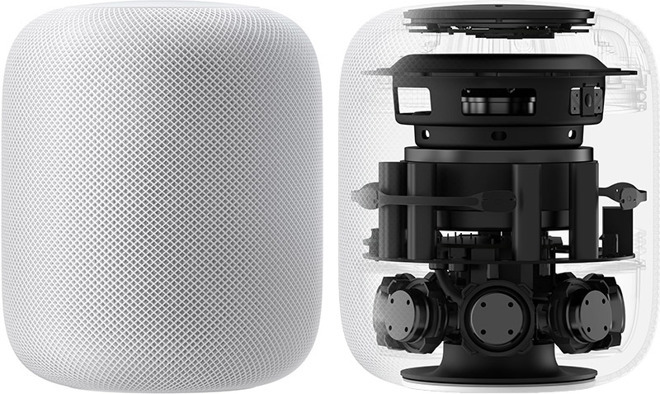 Together with Apple TV, HomePod appears poised to establish a second major category of Other Products connected to Wearables, but integrated into the home together with other HomeKit integrated devices. Again, the ecosystem links stitching together Apple's Wearables, Home and Mobile devices will increasingly be more difficult for rivals to challenge, because those competitors are effectively trying to only sell phones (like Google's Android partners) or only sell conventional PCs (like Microsoft's Windows partners).